Fillings may be simple or complex. It depends on the site of the decay; front, back, or biting surface of tooth. This is where only one surface of the tooth is involved. The decay is removed and a composite material is used to fill the tooth. The composite material will normally match the colour of the tooth. A simple filling takes approx 30 minutes. 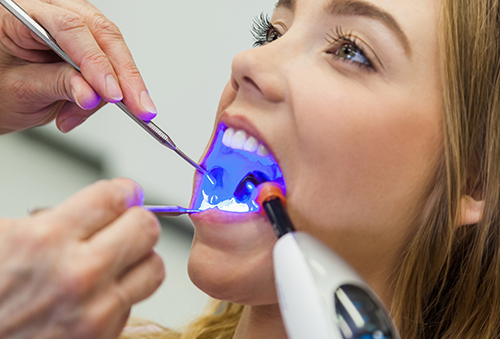 A filling is more complex when 2 or more surfaces need to be filled. The material used is either a composite or amalgam (silver). This will depend on the location of the tooth and also the personal preference of the patient. This type of filling takes approx. 45 minutes.